Introducing the easiest, handheld Hummingbird Feeder ever! 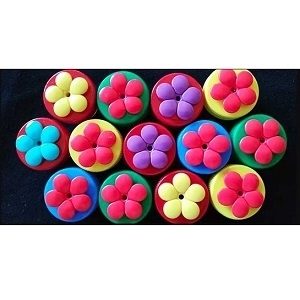 Nectar Dots® come in a variety of colors-Red, Yellow, Blue, Green, Purple, and Teal. The Dots are easy to clean and easy to fill! They are made of BPA Free and FDA Compliant Food Safe Polypropylene.